Security expert Abloy UK has updated its hugely successful smartphone app and compliant specifications handbook, offering users all the help they need in specifying the most effective Abloy locking solutions, no matter what the requirements. 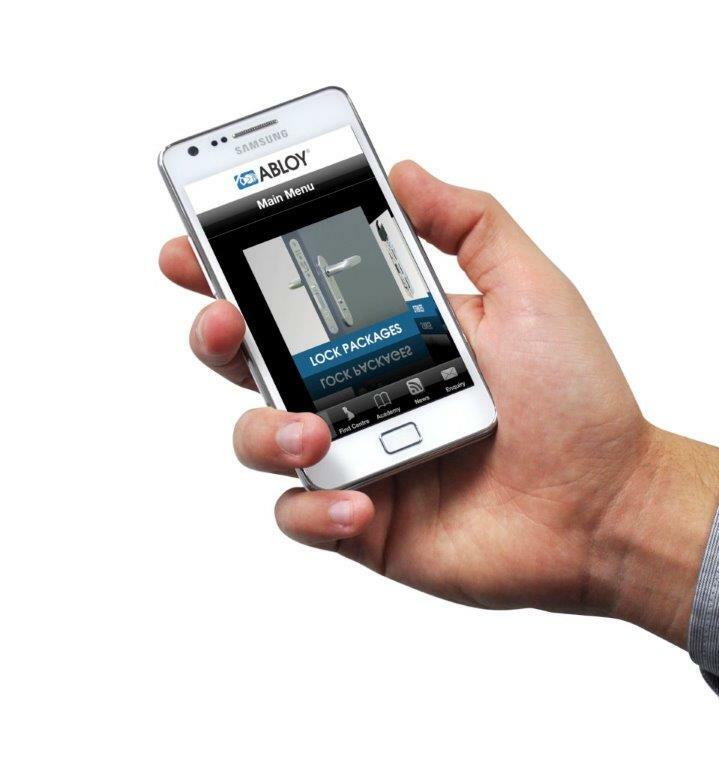 The handy Abloy app - available for iOS and Android devices - allows users to find the right door security solution by quickly selecting suitable products for specification or installation. It then utilises GPS to direct users to their nearest Abloy Dealer Centre so the job can be completed quickly and efficiently. The app can also be used to check price and availability, or send a technical question to the customer services team and receive a swift answer. Updates to the software include information about new door packages, enhanced search functionality, web news and videos. Users are also able to view courses available at the Abloy Academy, and sign up for specific dates. The Abloy Academy offers a range of courses to help installers learn more about standards and legislation, as well as practical workshops on how to install electric locks, door operators and access control. In addition to the app, the pocket-sized compliant specifications handbook offers a complete guide to specifying door security solutions, providing an easy reference point for installers, to ensure they are putting the right products on the right door. The guide is ideal for those who prefer using a physical booklet rather than a mobile device, and it contains information such as product details, technical specifications, and the standards each of the packages meet when installed correctly. “When you’re on site or away from your computer and need to specify the right door security solution, the Abloy app and compliance handbook can direct you quickly and easily to the product you need. “The app makes product selection intuitive, efficient and easier than ever before, as well as providing unprecedented on-site technical support for installers, across all stages of the specification and installation process.